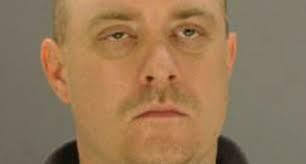 James Boulware first threatened to shoot up Texas in 2013. Prior to 9/11 “domestic terrorism” was used to describe the daily life of women living in terror of their husbands and boyfriends. Domestic terrorism was an apt term for the simple reason if a stranger smacks a woman in public, he will be arrested for assault. However, if a husband or boyfriend smacks a woman, it will be treated as a “civil” matter. as if the police deciding to perform their job is somehow dependent on her. Post 9/11 the term “domestic violence” was high-jacked, never to return, a real shame considering domestic terrorism exists in many homes unabated and ignored by the police. Disconcerting is the failure of media to get this right. Perhaps due to those in media. See, Bill Reilly and child custody manipulation. The term is not, “Domestic violence” the cocktail party phrase favored by non-profits. Or, the newer, “Domestic Incident” reporters don’t question, in lieu of assault, attempted murder, and murder…often while standing behind crime scene tape. So please, media. Please report accurately. Since nothing changes until it is first, accurately defined, it’s important to get it right. This entry was posted in Uncategorized and tagged child custody, custody battle, divorce, domestic violence, gun nuts, James Boulware, media, police, war on women. Bookmark the permalink.